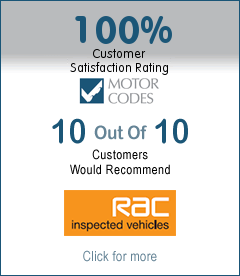 Why choose Golden Hill Garage for Your Next MOT? 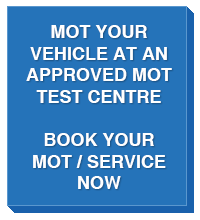 If you are looking for the best deal on your next MOT then look no further than Golden Hill Garage MOT Test Centre. Most MOT Test Centres charge £54.85 for an MOT test, at Golden Hill Garage MOT Test Centre we discount our MOT Tests so for as little as £30 you can save £24.85 on your next MOT Test. We aim to never be beaten on price and will match or beat any genuine comparable price advertised locally. For a cheap MoT test in Chorley come to the GHG MoT Test Centre where we won't be beaten on price. If you live or work in Chorley and need an MOT you can come to us or we will pick up your car. Click to book online. For a cheaper MoT test in Preston come to the GHG MoT Test Centre for Preston. Using us will save you £24.85, so you are in pocket straight away. You come to us or we will collect your car. Click to book online. Your time is precious so every part of the MoT process is streamlined at Golden Hill Garage. We are situated in a convenient location central to Leyland, Chorley and Preston including local areas, such as Eccleston, Bamber Bridge, Longton, Penwortham, and Croston and can even collect and deliver your car, if required. All you have to do is call or book online and let us take care of the rest. A modern facility and our experienced technicians and testers allow us to complete your MoT test speedily without compromising on safety in any way. Your MOT test will be performed in approximately 1 hour. We can guarantee that if any further work needs to be carried out on your vehicle we will contact you to discuss any issues – no nasty shocks. The MOT looks at many parts of your car to ensure they meet key legal requirements at the time of test. You may not be able to test your car for every potential problem but there plenty of things you can easily check and get fixed before your MoT test. Simply filling up your windscreen wash could be the difference between a pass and a failure. Here's our Top Ten Tips to help you pass first time. Get someone to hold a cloth over the end of the exhaust while you start the engine. If there are no leaks in the exhaust system, the engine should stall after a few seconds. If the engine doesn't stall this indicates a leak which will need to be repaired. A general check around the vehicle should be made to ensure that the car's fuel cap is secure, mirrors are in good condition, wipers are not damaged or split and door handles, catches and locks work. Check the condition of your seat belts as any frays or tears may result in a failure. Bounce each corner of your car by leaning your weight against it. If it doesn't settle after one or two bounces the shock absorbers may need changing. Check the handbrake and footbrake. If you have to pull the handbrake lever up too far, through lots of clicking, the cable probably needs adjusting. Check that the handbrake can't be released by simply tapping on the lever. Press the footbrake and check it doesn't feel spongy. If it does, there may be air in the hydraulic system which must be removed.